Madison Allan, was a child who attended Lower Darwen Primary School. 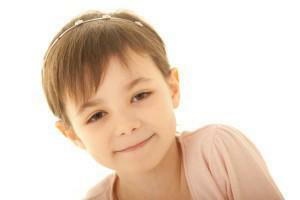 Sadly, her life was blighted by a terrible disease called Neuroblastoma. Madison lost her fight for life on Boxing Day 2011. This page is a tribute to her. Madison died on 26th December 2011. I had known her for eighteen months and even though I only knew her for a short time, I feel priviliged that she shared some of her precious life with me. She was a wonderful little girl, who despite her illness lived her life to its fullest. She had a wonderful smile and brilliant and sometimes wicked sense of humour. Everybody at Lower Darwen misses her so much. She was a courageous and brave little girl, who fought her illness with every ounce of energy in her body. However, I would like to remember Madison for the things in life that made her like any other girl of her age. Her love of pink, her love of reading, her love of dancing and she loved to dress up whenever there was a themed day in school. As a mark of respect, on the day of Madison's funeral, the children and staff of Lower Darwen Primary School wore a splash of pink and the outside of the school was decorated in pink ribbons.